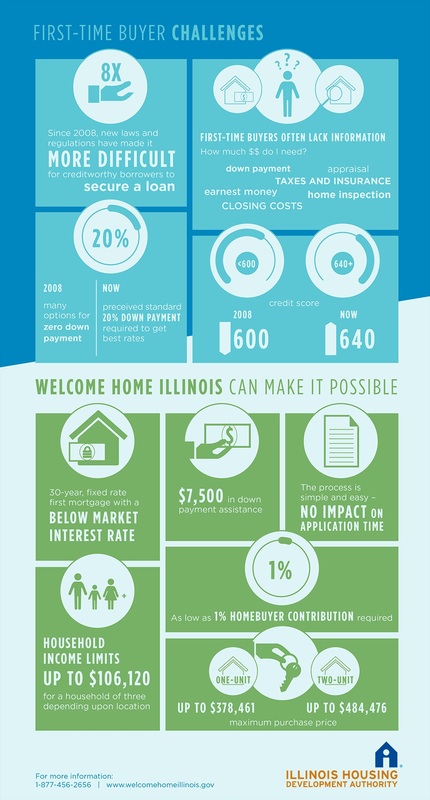 Gov Quinn has just announced another great program to help First Time Buyers in Illinois! Rates 3.99% 30 yr Fixed!!! Thank you for your service! Veteran owned, The Federal Savings Bank takes pride in helping our soldiers achieve the American dream of home ownership! NOBODY DOES IT BETTER THAN US! At the beginning of May the average mortgage rate for a 30-year FRM was just 3.35 percent. Since then, as tracked by weekly surveys from Freddie Mac, rates have risen aggressively, and as of August 22, the average rate on that same 30-year FRM was 4.58 percent. Much of the mortgage-rate discussion thus has dealt with numbers, specifically, how much homes sales will be impacted. So for this story, we wanted to take a look at some broader market forces, and how the rising mortgage rates could impact those elements. 1. Housing demand could fall – There are two sides to the housing demand element, both very interesting. On one hand, consumers buy homes with the future in mind, so if mortgage rates appear to be rising, consumers may be incentivized to buy now before rates get any higher. On the other hand, though, the speed in which rates increase also matters, and if rates rise too quickly (as they have the last couple months), they could scare buyers away. 2. New buyers will not arrive – Falling mortgage rates entice many consumers to consider homebuying, but there’s little evidence that rising interest rates have the same effect. Again, consumers who were already considering homeownership may expedite their purchase to lock in low rates, but the renter with no interest in homebuying will not likely follow suit. 3. Rising rates are bad for the high-end and low-end – Both entry-level and affluent homebuyers are most affected by rising mortgage rates. Whereas first-time homebuyers are priced out by rising rates, move-up buyers who were considering homes in the $1 to $2 million range may forgo a new purchase and decide to renovate their existing residence instead. According to a recent analysis by the Wall Street Journal, the monthly payment on homes with a 10 percent downpayment has gone up by 13 percent with the rate increases. 4. Investors are in a quagmire – Though many investors, noted the Journal, may be excited by the rate increases, given that they eliminate many potential competitors by making home purchases more costly, some may also be turned off by the increases, especially with how difficult it has now become to find the ridiculous bargains of 2009 and 2010. 5. The housing rebound will not end – Some spectators have feared that the rising mortgage rates will prematurely end the housing rebound, but that will only happen if rates continue to rise at their mid-summer pace, which is unlikely. Instead, what we’ll probably see is a slowdown of home prices, and a return to the steady, consistent growth that has typically categorized the housing market. Follow My Blogs - Stay in Touch! THINKING OF BUYING A HOME? CLICK BELOW TODAY! Alex Romo is one the leaders in the mortgage lending industry. With over 10 years of experience, Alex has grown to be one of the top originating Loan Officers in the country. His extensive knowledge of today's programs and the ability to offer the best options for his clients has earned him a high level of respect with his Realtor partners. Alex utilizes state-of-the-art client follow-up systems to provide superior service. Alex specializes in referrals from past clients and works closely with Realtors in Chicago and the south and west suburbs where he has personal knowledge of the communities and neighborhoods. The powerful combination of mortgage industry expertise, local market sensitivity, and top-notch customer service ensure a smooth transaction experience for clients and real estate professionals alike. **Alex was very helpful during the entire process. He took the time out to explain every step of the loan process from start to finish. Every time that I had an issue Alex was always a phone call away, and he actually answered it. No voice mail, which gave my wife some piece of mind. He did a great job, and I would recommend him to anyone. **Alex, it was truly a blessing having you to work with, thank u so much for everything and for explaining everything to me in my language. **I was looking for a home in the Chicago area and because of my current credit situation I looked to my father to apply for the loan instead of applying myself. My father was a preferred customer at Bank of America and according to our loan officer there, it was a sure deal that the loan would be approved. After a long period of time and very little communication the loan was declined with no immediate explanation. After that whole mess, I was in contact with Alex Romo, not only did he get an approval but he helped me get my credit in line and I was approved by myself. I highly recommend that anyone looking to get a home loan contact Alex. He knows the mortgage process inside and out. **Alex really does go above and beyond in helping you get the mortgage that is right for you and your family. He is knowledgeable and more importantly he takes the time to EXPLAIN the often times too wordy jargon that is mortgage language. **Alexander Romo takes the stress out of purchasing a home! Alexander took care of everything for my family while applying for a loan. Alexander was with us from start to finish! 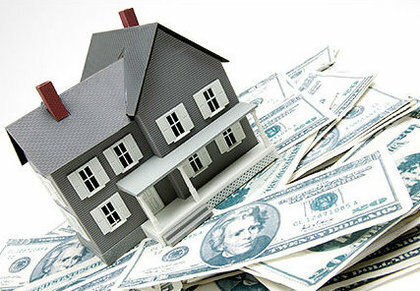 When purchasing a home, I highly recommend Alexander when looking for a great loan! **Alex has been a pleasure to work with on a number of legal transactions. His extensive knowledge, initiative, responsiveness, and hard work are only overshadowed by his honesty and integrity. I wouldn't hesitate to refer any of my clients to Alex for their borrowing needs! **My experience with Alex has been great. He is very quick and responsive and does a great job for his client. **Alex really knows how to take care of his clients. From beginning to end, he was always available to answer questions. His knowledge of the housing market puts him at the top! **Alex is great with follow up and has tenacity to get you or your client the best rate and make the deal work for everyone. **Alex is very professional as a loan originator for The Federal Savings Bank. He follows up with his clients and attends all his closings. I would feel compfortable in recommending him to my follow colleagues.